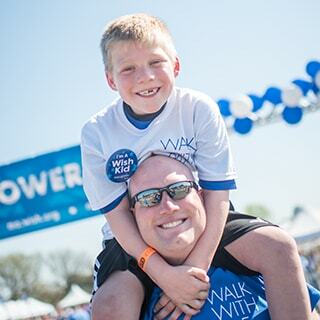 Walk For Wishes® is a nationwide Make-A-Wish® fundraiser that celebrates the more than 300,000 wishes that have already been granted, while raising funds for future wishes. It's a family-friendly event powered by wish families, volunteers, companies, donors and friends. Register. Sign up today and invite friends, family and colleagues to join your team. Fundraise. Tell people why you are supporting Make-A-Wish and ask for their support. Make it personal to make it powerful. Walk. See the Make-A-Wish mission come to life and celebrate your fundraising success on Walk Day. Avary’s wish to be a professional gymnast movitvated her to stay strong as she battled her illness. 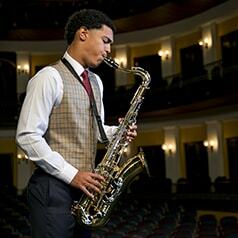 Michael’s wish to have a saxophone allowed him to become a musician like so many others in his family.